The Remo Powerstroke P4 Coated has a warm attack, good durability, and full sounding mid and low-end tones. 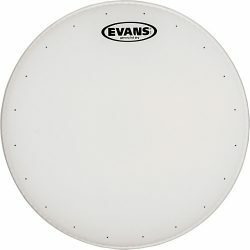 This is a great choice for heavier hitting and medium-loud environments. The Remo Powerstroke P4 Coated is made with two 7mil plies of film, a top coating, and an inlay ring around the underside of the head. This inlay ring is 3mil thick for snare drums and toms, and 7.5mil thick for the kick drum version. 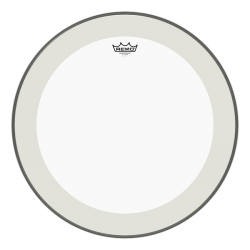 The Powerstroke P4’s inlay ring helps to reduce ringing overtones and cut some of the sustain, making this a fairly focused drumhead. Despite the added control, the P4 doesn’t choke the tone too much, and it gives a good lively sound. The two 7mil plies make the Powerstroke P4 durable enough to withstand some heavy hitting, which is great for medium to loud volume drumming. 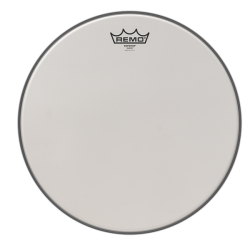 Sound-wise, the Remo Powerstroke P4 Coated has a moderate attack that doesn’t overpower other instruments. The sustain is short and warm, with a strong focus on mid-range and lower frequency tones. Ringing overtones are reduced by the control ring, and the sound has a good focus on the fundamental note. The coating on the Powerstroke P4 Coated also helps to reduce some of the higher frequencies. 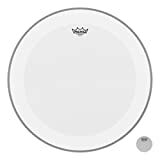 These drumheads sound great on toms and kick drums, where they give a big warm sound that is great in medium and higher volume environments. 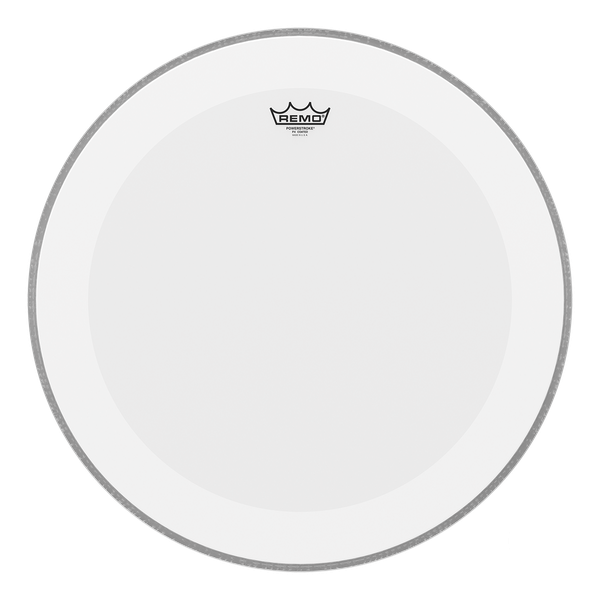 On snare drums, you will have a fairly controlled and attacking crack (especially with higher tuning), without choking the drum too much. Tuned low, the P4 Coated gives a warm and short thud. Be aware that in very high volume situations, the warmer sound and moderate attack may get a little lost in the mix. If you’re worried about this, take a look at the Clear version of the Remo Powerstroke P4. 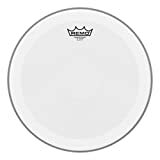 The Remo Powerstroke P4 Coated is a great choice if you love two ply heads like the Response 2, Emperor, or G2, but want a slightly more focused sound with less overtones. 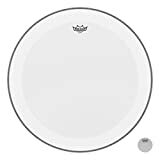 This is a good drumhead for medium and higher volume drumming. 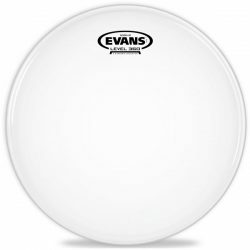 Note that the two ply construction means the Powerstroke P4 Coated might not be sensitive enough for very light touches, or very quiet playing. Remo Powerstroke P4 Coated Bass Drumhead, 24"
Remo Powerstroke P4 Coated Bass Drumhead, 20"